Vegan shoes, organic men styles and bamboo-framed sunglasses… LOL. Sounds hilarious, doesn’t it? But this a great concept and is in fact fashion with a conscience. 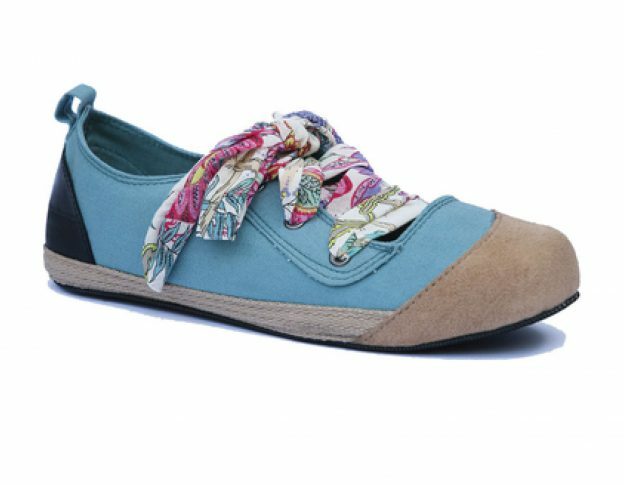 In my quest for summer shoes that are made and packaged without plastic, I came across komodo.co.uk, a UK based company who have made sustainable fashion since 1988. Most of it is made with sustainable materials like organic cotton and with solid ethical values for both the production workers and the environment as far as I can tell. I bought the shoes in Stroud’s Brilliant Disguise shoe shop and it had a little label, tied on with a piece of hemp string, saying: for every pair of shoes sold we plant a bamboo shoot. How nice is that? The shoes are great – comfortable, hard wearing and funky. The soles are made from used car tyres. I will come back to this company for clothes and gifts. And definitely for a pair of bamboo sunglasses! This entry was posted in Clothing and tagged fashion, natural fibre shoes and clothing, organic cotton on June 25, 2016 by admin. It is actually a great and helpful piece of information. I am satisfied that you simply shared this helpful information with us. Please keep us informed like this. Thanks for sharing. Definitely going to try it!! Thanks for this detailed post..It was very helpful..You got some really exciting stuff covered in this post. Hi, I really like your blog and am following you since so long. Keep doing the great work.